With such a gorgeous cover, what's not to like? In Good Company clearly is going to be a fun historical fiction, promising to be a clean Christian romance. 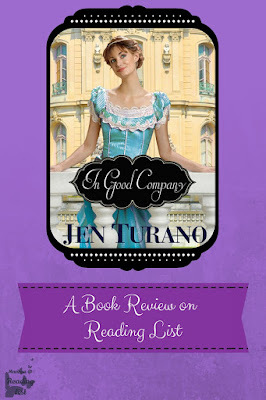 As an added bonus Jen Turano has many other books with many wonderful reviews. I figured I'd knock this book out in a weekend. There is no doubt that Millie Longfellow is not the typical nanny. She has a unique style that does not always sit well with her charges parents or guardians. So she finds herself out of work quite often. It's no surprise that Everett Mulberry simply does not want to hire her on after he finds himself in desperate need for another nanny for his three new wards. Then again, that thought is because of the demands of his societal status and voice of his girl, Caroline. 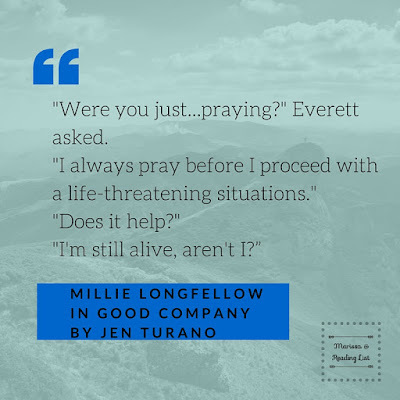 Anyway, Millie ends up taking a position as Everett's nanny, as they are both desperate, and that is about the extent of God's divine intervention in this book. The story follows Millie and Everett, changing back and forth between their view points, as they grow to enjoy each other's company no matter how much society frowns on such a friendship. Of course Everett is only weeks away from becoming engaged to Caroline when Millie takes on her position, so you can imagine how well that plays out. As billed, In Good Company ** is a light and clean romantic story. The characters come together through divine plan, clearly and they all seem to be unsure how to proceed. I enjoyed the fact that even though I knew before I turned to the first page that Millie would end up with Everett, they didn't seem to know it. There were pages and pages of waiting to see when the light bulb would turn on for them and they would actually connect. Isn't that the making for a good romance? There were also some very hysterical scenes. I mean, what do you expect when you have a story that includes three children, an ostentation of peacocks and high society rules and standards? Yep, whatever you just imagined, it's funnier, I promise. Unfortunately I have a long list of dislikes for this book. While I totally appreciate how Millie used many words she did not know, then defined them for the reader (most high schoolers should know the words she defines, it's a character trait), it got a little old. However, the bigger issue I had lied in the editing style. I'm not sure if it was an author writing style, since this is my first Turano book, but there were tons of ellipses and dashes on every page. 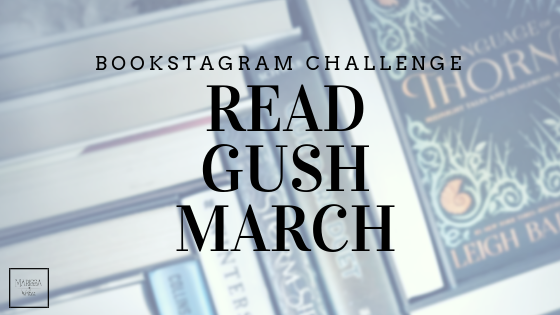 The style read more like long social media posts and not a novel. This style also took away from the ability to imagine the characters and fill them out as more complex characters. Then because I was frustrated with the editing, I got more wrapped up in the mystery plot, or rather attempt at a mystery plot. The story was billed to me as a clean romantic comedy, and the main focus of the story was just that. Granted it was completely predictable, but still I decided to read it based on that fact. There was this added mystery surrounding the children's estate that barely even surfaces until more than halfway through the story. The whole mystery story-line read as an after thought. Maybe trying to merge two stories into one to please an editor or audience. Either way, it was a flop and it hurt the romantic comedy side of the story. This would be a fun read for those who want clean romantic comedies with only a few small twists and surprises. Also, it was clear that the author wanted fans of Jane Austen, specifically Pride and Prejudice to be interested in this book, so if that's you, this is probably at least worth looking into. I'm sorry to say I can only give this book a two heart rating. The cover is gorgeous, and I wanted to really love this story, but there are just too many editing issues and well, the extra plot twist simply came out of left field and left me wishing I hadn't picked this one. 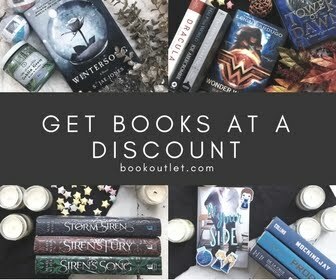 It's hard to give a good suggested audience when I'm not a huge fan of a book, but that is the best part about books, there are enough out there that allow for different tastes. I am sure there are plenty of serious, die-hard fans of Jane Austen that will enjoy this book way more than I ever could. And like I said, it is a classic romantic comedy that is really very clean - only near the end is there even a real kissing scene. It helps that the era this is set in demands a certain level of decorum. Are you a Jane Austen fan? If so, do you tend to enjoy modern fan literature aimed at you? If not, tell me why.